All the latest Axelay snes cheats snes cheats, game genie and action replay codes for Axelay snes cheats on the SNES are here in this article. 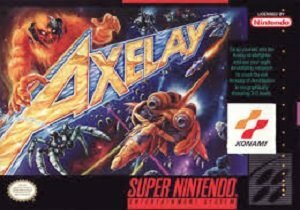 The Axelay game on the SNES / Super Nintendo is a very challenging game and can be quite frustrating at times, Hopefully using the below cheats and codes will help you to beat this game. If you use these cheats or know of any cheats or codes I have left out please let me know about it by posting a comment below. Level select (Japanese version): Press Left or Right at the title screen to change the starting level number in the lower left corner of the screen. Invincibility (Japanese version): Pause game play and press X. The word “Muteki” will appear on the life gauge to confirm correct code entry. Note: “Muteki” is “Invincible” in Japanese. Extra credits: Successfully complete the game under the Easy difficulty setting without using any continues to get two bonus credits for the Normal difficulty setting. Successfully complete the game under the Normal difficulty setting without using any continues to earn four extra credits for the Hard difficulty setting (if you began with the Easy difficulty setting), or two extra credits otherwise. Secret message: Select hard mode in “Level” at the “Set Up” screen. Start the game and finish it. After the credits, the game will begin again, but at a higher difficulty. Finish the game again. 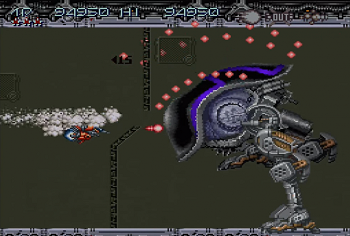 In the final sequence of credits, the message “SEE YOU LATER IN AXELAY 2” will appear in the upper right corner of the screen. There are a few things you can unlock in Axelay snes cheats they are listed below. Play Normal and Hard Modes with Extra Credits – Beat Easy mode without continuing. You will have 2 extra credits on Normal mode. Beat Normal mode without continuing. If you began in Easy mode, you will have 4 extra credits in Hard mode. If not, you will have 2 extra credits. If you are lucky enough to own an action replay you can use the below codes in Axelay snes cheats on the SNES. If any of the codes do not work, or if you know of any that do work that I did not mention please post about it in a comment below. 7E1E620X Level Select – Start from level X, enter X as the level number you want to start from -1. For example, to start from level 4, enter 7E1E6203. If you are lucky enough to own a Game Genie you can use the below codes in Axelay snes cheats on the SNES. If any of the codes do not work, or if you know of any that do work that I did not mention please post about it in a comment below. If you are playing Axelay on Snes9x (Or another SNES emulator which supports cheat codes) there are a ton of cheat codes you can use. You can basically use any of the codes listed under the Action replay codes + Game Genie Codes sections, you simply need to enter the required code as per below. Question : Can I use all of these Axelay snes cheats SNES Cheats? Answer : The cheats I have listed under “Normal Axelay cheats (SNES) Cheats” can be used by everyone. You will need a Action Replay or Game Genie to use the cheats listed on this page. Question : Do the Axelay snes cheats Cheat Codes Only Work In The Snes9x Emulator? Question : I know a good cheat for Axelay snes cheats that is no listed on this page, Can you add it. Question : Do you have any gameshark pro codes for Axelay snes cheats? I hope this article on Axelay Cheats + Action Replay / Game Genie Codes has helped you. If you are aware of any tips I have missed off please post about them in a comment below. Please help us out by spreading the word and sharing this article on Axelay snes cheats (SNES) Cheats + Action Replay below.